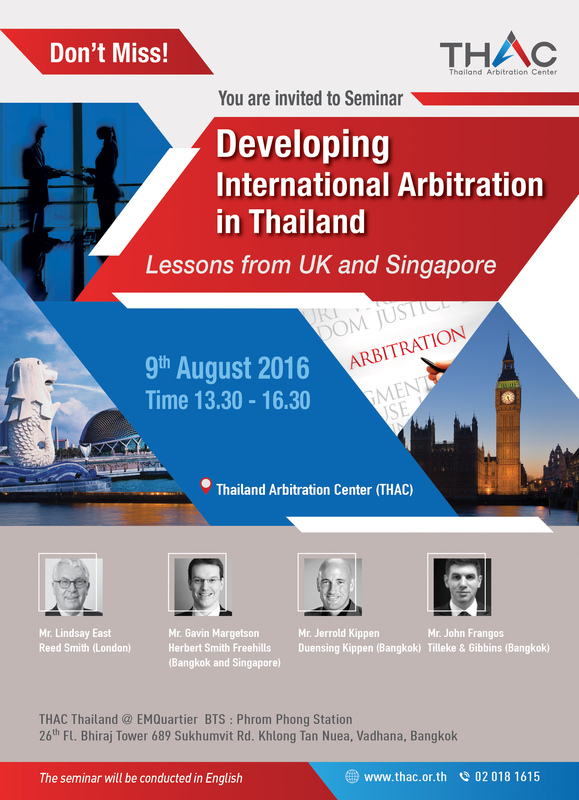 Jerrold Kippen (FCIArb) will offer his views on the current state of international arbitration in Thailand and join the following panel discussion with two expert speakers regarding what Thailand might learn from the UK and Singapore. More details and how to register here. This entry was posted in Uncategorized on July 30, 2016 by duensingkippen.